Plush and elegant, with raspberry coulis, wild strawberry and bright cherry flavors that are elevated with layers of spice, smoky tea, pepper, Asian spice and fresh earth notes. The Wine Advocate - Medium ruby-purple in color, the 2011 Pinot Noir possesses a nose of mulberries, black raspberries and kirsch accented by underlying hints of cardamom, forest floor and moss. Medium to full-bodied, it has a good concentration of red and blackberry flavors with a pleasant earthy edge and is framed by medium level, grainy tannins and vibrant acid through the finish with good length. Drink it now to 2017+. Wine Spectator - Medium ruby-purple in color, the 2011 Pinot Noir possesses a nose of mulberries, black raspberries and kirsch accented by underlying hints of cardamom, forest floor and moss. Medium to full-bodied, it has a good concentration of red and blackberry flavors with a pleasant earthy edge and is framed by medium level, grainy tannins and vibrant acid through the finish with good length. Other - Plush and elegant, with raspberry coulis, wild strawberry and bright cherry flavors that are elevated with layers of spice, smoky tea, pepper, Asian spice and fresh earth notes. 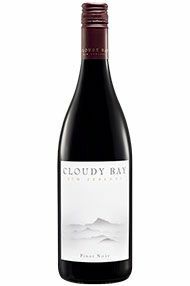 Cloudy Bay was established by David Hohnen, of Cape Mentelle fame, in 1985. Cloudy Bay takes its name from a bay at the northern tip of the South Island named by Captain Cook in 1770. Cloudy Bay now has 60 hectares of vineyards planted with Sauvignon Blanc, Chardonnay, Cabernet Sauvignon, Merlot and Pinot Noir. Cloudy Bay also sources grapes from elsewhere in the Marlborough region. Cloudy Bay's staggering success can be attributed to its groundbreaking Sauvignon Blanc, as well as its distinctive labels, which reflect the skyline of the nearby Richmond Ranges. It is now owned by Veuve Clicquot. New Zealand's answer to Napa Valley, Marlborough is a veritable engine room that in 2006 accounted for 47 percent (10,419 hectares) of the country's vines, and over 60 percent of its production, even though it is home to just 20 percent of the nation’s 530 wineries. Around 76 percent of the vineyards are planted with Sauvignon Blanc. Located on the north-easterly tip of South Island at a latitude of 41.3 degrees South, the Marlborough flats are protected from the tropical north-westerlies by the Richmond Ranges, separating Marlborough from Nelson. It is similarly protected from the frost-bearing Antarctic south-easterlies racing up the eastern coastline by the Kaikoura Ranges. The region consequently experiences low rainfall, together with high sunshine hours and a significant diurnal shift between day and night temperatures, thus preserving the aromatics. The Marlborough viticultural zone, now being delineated, actually consists of three sub-regions: the fertile, alluvial soils of the Wairau Valley on the northern side (site of the original Marlborough settlement in 1880, and subsequently to Montana in 1973) is constantly fed by a subterranean aquifer, resulting in an easy, tutti-frutti style of Sauvignon Blanc best exemplified by Hunters wine. The Southern Valleys zone on the opposite side of the Valley comprise drier, stonier, poorer soils and clay knolls (such as those of the Brancott Valley), delivering a fuller, more structured, defined, gooseberry and limey Sauvignon Blanc with more bite and poise; Cloudy Bay (who put the region on the world map in 1985), Dog Point, Isabel Estate and the Winegrowers of Ara all inhabit this stretch of the Valley. 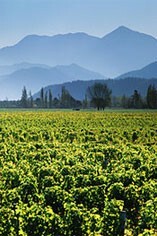 Lastly there’s the Awatere Valley, which is located across the Kaikouras on ancient black volcanic soils amid a cooler climate, with harvests often running two weeks behind those in the Wairau Valley; the Awatere style of Sauvignon Blanc is peachier and richer than elsewhere, with Vavasour a fine example. Although most wines are vinified in stainless steel and released within 12 months of the harvest, some enterprising growers are trialling the use of oak barrels, especially when vinifying superior parcels of hand-harvested fruit. Dog Point Section 94 is one such wine. The region is also home to the country's small sparkling-wine industry, employing the traditional method to vinify Pinot Noir and Chardonnay. 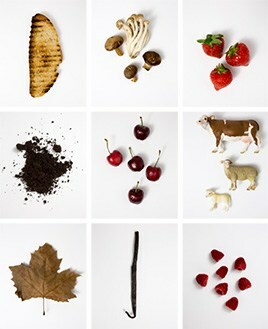 Some producers have sought to diversify into still Pinot Noir production, whilst using an inappropriate Swiss clone. A glance at what's been happening in Central.Otago and in Martinborough, however, has persuaded those serious producers to plant a greater selection of clones, notably 667, 777, Abel and 115, as well as the common Pommard (UCD 5) and 10/5. The result has been a shift from the classic Marlborough Pinot Noir spicy red fruit with its almost Côte de Beaune character towards a fuller, fleshier, smokier, black cherry Côte de Nuits style.